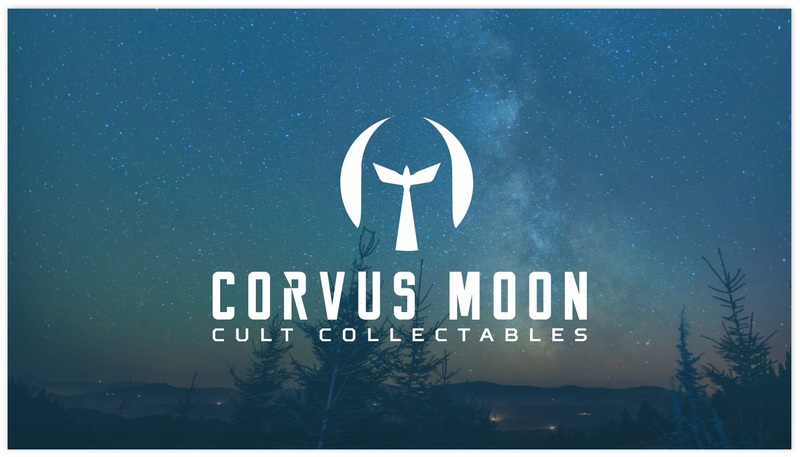 Corvus Moon are retailers of cult collectables and memorabilia. Initially, they were trading through eBay and at Comic-Con conventions and wanted to improve their marketing. 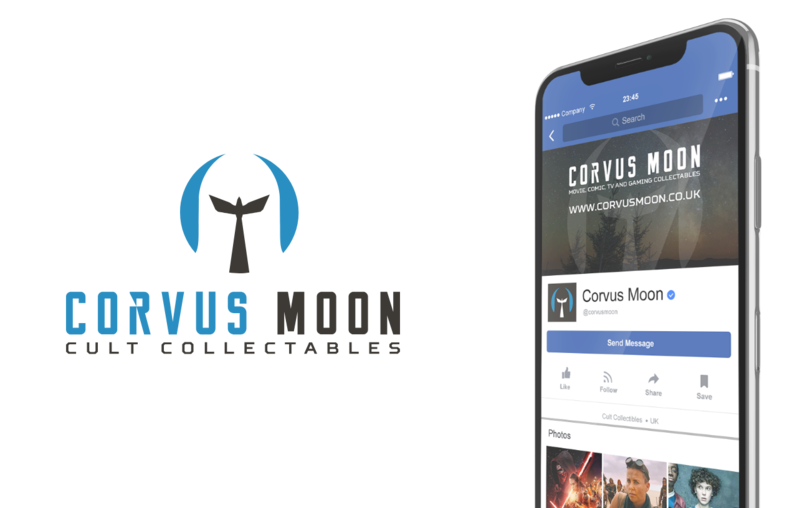 Corvus Moon approached us to assist them with professional branding and support with social media, and later to build their e-commerce website, allowing them to trade online. The first step was creating the brand, including a business name. We wanted to find something in line with the comic book industry in order to stay relevant to what the company does, and held a brainstorming session to find a market relevant name. The outcome was Corvus Moon. Corvus is the name if a star constellation where the fictional planet of Krypton was based (Superman's planet of origin). Addition of the word 'moon' allowed the brand to stay in line with its science fiction roots and also gave us a unique name that we could purchase the domain name www.corvusmoon.co.uk for. We felt that the branding should play on the theme of good vs. evil, which consistently appears in comic books and fantasy stories. The logo creates an illusion that can be interpreted in two ways; a mask to represent those typically represented by villains and within the mask a silhouette of an angel - good vs. evil within one brand identity. With the branding in place, we were able to create marketing materials such as t-shirts, flyers, a selfie board, table stand, and stationery. We carried the company voice and personality throughout, even listing the job title of the founder as “Lunar Module Pilot” on his business card. We also manage the social media platforms for Corvus Moon. The principal function of the social media is to promote Corvus Moon’s appearances across the country. We’ve been able to do this and at the same time, grow the following and generate engagement. Additionally, we promote products that are sold online, helping to really push sales and maximise ROI. I really enjoyed seeing how Xpand worked through the process of taking what was just an idea, and turning it into a brand that we are now well known for in the Comic-Con world. 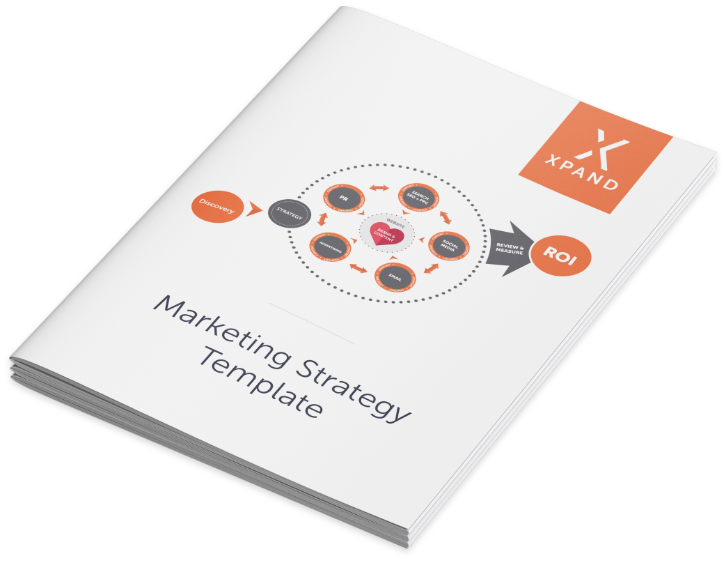 We've got all kinds of plans for the future and Xpand will play an important part in them! We have supported Corvus Moon since the launch of the business in 2016. Our online marketing support meant that they were able to double their turnover in their second year of trading. 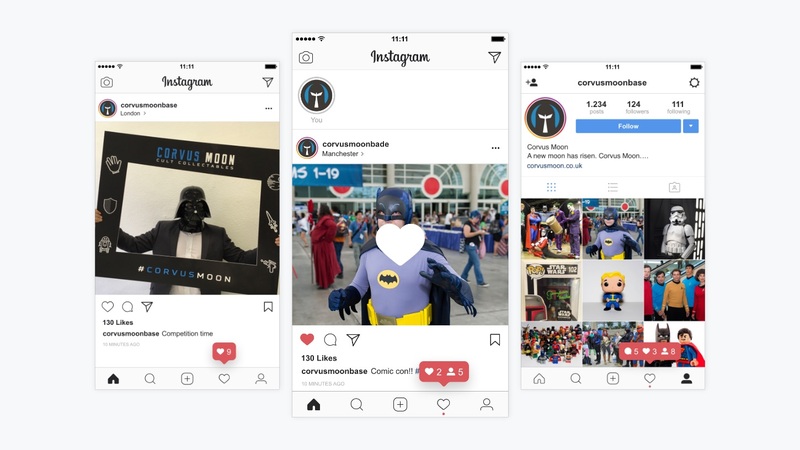 They have a social media audience of engaged followers who regularly interact with them, and are always a busy attraction when exhibiting at conventions.